In Egypt in Crisis, airing Tuesday, Sept. 17, at 10 p.m. on PBS (check local listings), FRONTLINE and GlobalPost’s Charles M. Sennott go inside the Egyptian revolution, tracing how what began as a youth movement to topple a dictator evolved into an opportunity for the Muslim Brotherhood to seemingly find the political foothold it had sought for decades—and then why it all fell apart. But, as FRONTLINE reveals, the Brotherhood soon turned on its former allies, aligning itself instead with the Egyptian army and tolerating violent repression. 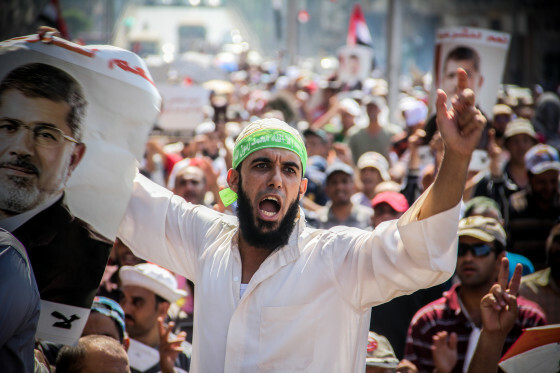 Under the short-lived presidency of Mohammed Morsi, the military tortured high-ranking members of the opposition, subjected women to public “virginity tests” and conducted mass arrests of revolutionaries. In Egypt in Crisis, FRONTLINE goes behind the scenes to find out how Morsi’s rule became increasingly unpopular, and explores the days and decisions leading up to his ouster at the hands of the military and his arrest on charges of inciting murder.